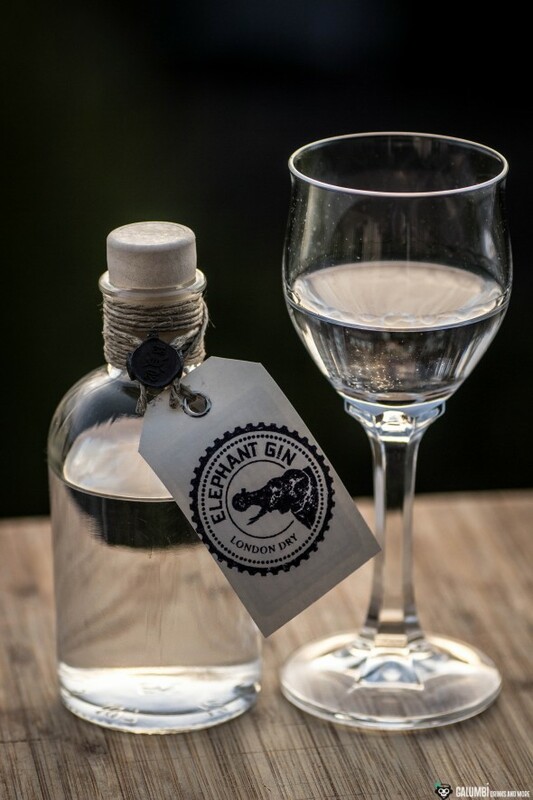 A new “heavyweight” among the London Dry Gins has emerged on the market and completely relies on the flavors of the Dark Continent: The Elephant Gin is a small piece of Africa originating from Manor Schwechow close to the city of Hamburg. Anyway, to avoid potential confusion: it actually is a German gin that has been made in the style of a London Dry. The manufacturer has chosen the African theme not only for fun or for marketing reasons, but actually seems to have a really strong identification with the continent. Thus, the gin was created from various herbs, fruits and roots which of course accompany some juniper, which of course is indispensable for a gin. Many of these “botanicals” (14 in number, exact details will not be revealed by the manufacturer) originate from the African continent, but there are also some regional ingredients from Germany used inside the Elephant Gin, such as Apple. The taste of Elephant Gin turns out to be a really interesting blend that stands out against other gins. In addition, according to the manufacturer 15% of the sale proceeds are donated to the Space for Elephants Foundation and the Big Life Foundation who dedicate themselves to the protection of elephants. A laudable thing! In the photo, however, only a small sample bottle is shown, which was sent to me as a result of a cooperative promotion conducted by Thomas Henry and Elephant Gin. The Thomas Henry team recently launched some promotion challenges on their Facebook page, where participants could win a bottle of Elephant Gin together with a bottle of Thomas Henry Elderflower Tonic. When it came to a small recipe contest I proposed a Frenchie Highball made with Elephant gin, which obviously convinced the folks at Thomas Henry to take me into account. So, happily, I do belong to the lucky ones who have been awarded a small package. Nose: Already on the nose the gin presents itself as a soft one, yet with very interesting aromatic herbal notes, of which some make me think of vanilla hints. Fine citrus tones, pine and, of course, juniper are clearly discernible. Taste: Wow, the Elephant Gin convinces me of its quality at the first sip with an almost creamy taste. As already indicated on the nose, it does not occur to be strong, but still offers rich herbal and somehow unconventional flavors. A very interesting gin, I can absolutely imagine in various cocktails in the future! Buying Sources: At the current state you will find the Elephant Gin in specialized liquor stores or on the internet.